With colonial-style elegance, first class amenities and idyllic settings, the guest rooms, retreats and suites at Bloomfield Lodge are your personal haven throughout your stay. Bloomfield Lodge comprises 17 individually designed natural timber retreats which encircle the main lodge. Each site has been specially chosen for its naturally beautiful surroundings and every guest room and retreat has a veranda with stunning views of the rainforest or Weary Bay. All have ensuite facilities and are serviced daily. Complimentary guest laundry facilities are also available. 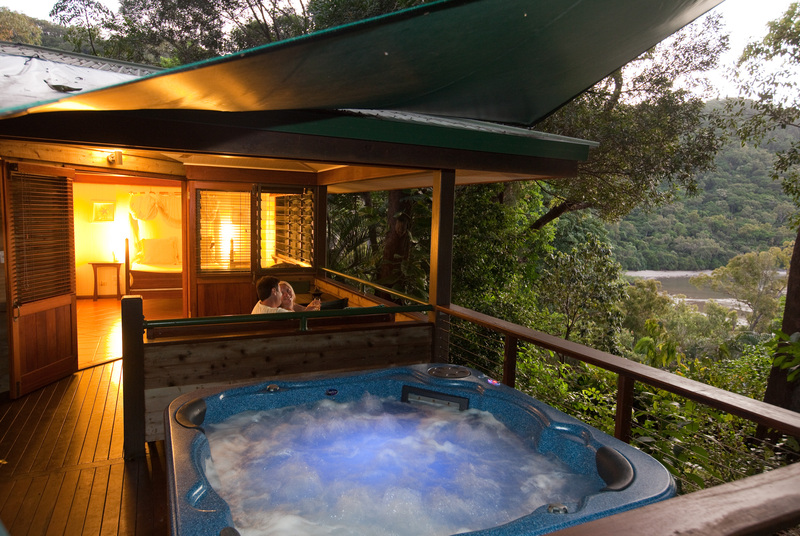 Being in the World Heritage Listed Daintree National Park, Bloomfield Lodge provides guests with the opportunity to enjoy an unspoilt wilderness in luxury. The Rainforest Rooms are located adjacent to the main lodge area and provide comfortable accommodation within easy reach of all the main facilities with views of the rainforest and partial sea view. 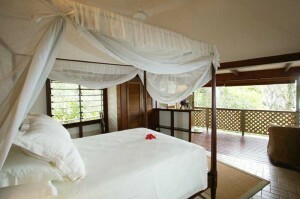 All rooms have double beds and separate verandas. 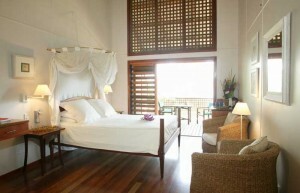 Close to the pool and restaurant, these beautiful rooms are a comfortable and affordable retreat. Rainforest Rooms are filled with natural light by large windows that make the most of the serene view. Other features include ensuite bathroom, ceiling fan, thoughtfully stocked mini bar, natural timber floors, tea and coffee making facilities, direct dial telephone, fresh drinking water, mosquito nets, bath and beach towels, hairdryer, and premium toiletries. Menus for lunch and dinner change daily, the details of which are delivered to your room each morning. These high-ceilinged rooms are situated in a pretty terrace of four overlooking Weary Bay, perfectly positioned to catch the sea breeze. 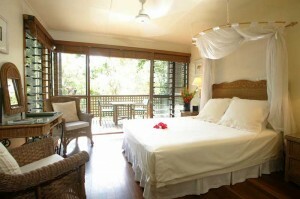 Each room has a generous veranda and outdoor seating for relaxing after the day’s activities. A separate family suite, spread over two floors with a shared bathroom, offers family style accommodation (sleeps four people in two double beds). 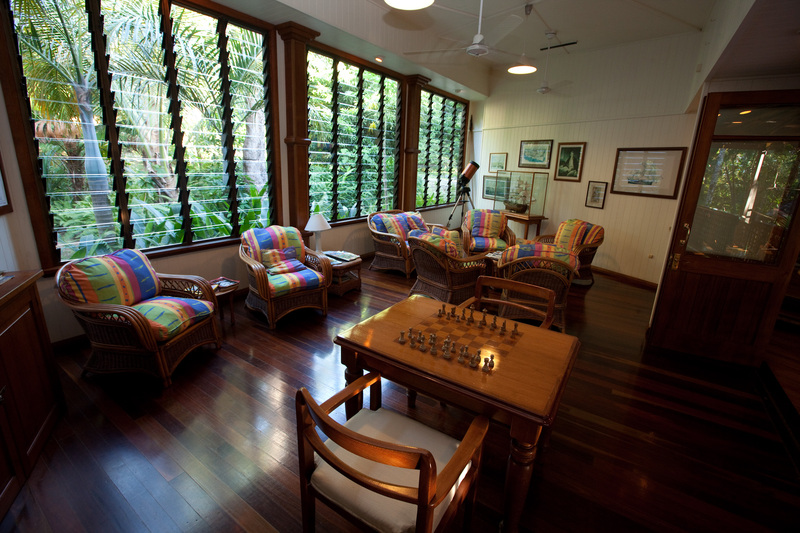 Queenslander Rooms are filled with natural light and are beautifully appointed throughout. Features include ensuite bathroom, ceiling fan, thoughtfully stocked mini bar, natural timber floors, tea and coffee making facilities, direct dial telephone, fresh drinking water, mosquito nets, bath and beach towels, hairdryer, and premium toiletries. Set up the hillside away from the main lodge, these spacious retreats (shown at top of page) have solid timber floors, queen-size beds, large verandas and day beds with spectacular views over Weary Bay and the rainforest. 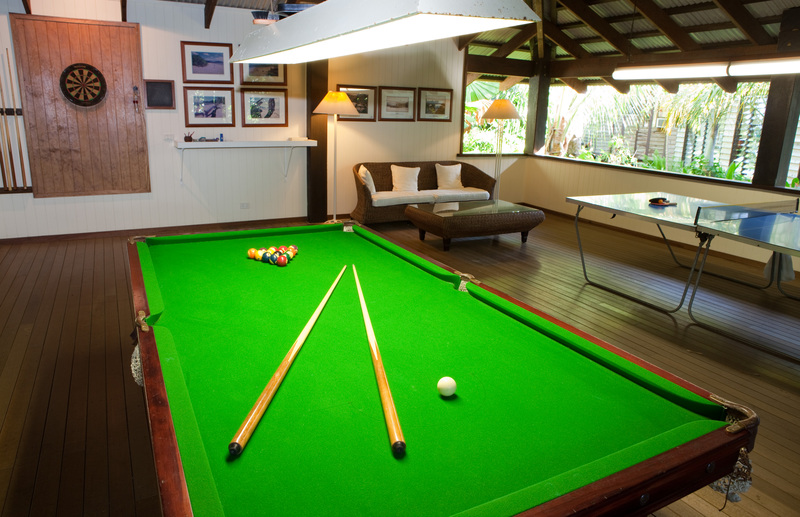 Larger than the Rainforest and Queenslander rooms, the Deluxe Retreats are spacious and filled with natural light. Beautifully appointed throughout, the Deluxe Retreats feature ensuite bathroom, ceiling fan, thoughtfully stocked mini bar, natural timber floors, tea and coffee making facilities, direct dial telephone, fresh drinking water, mosquito nets, bath and beach towels, hairdryer, and premium toiletries. Secluded from the main lodge and enjoying stunning views across Weary Bay, these uniquely appointed Hideaway Suites promise the ultimate in privacy and seclusion. Their generous layout, king-size beds, and spa bath in every suite means guests often find themselves reluctant to leave their retreat, and the outdoor day beds are the ideal place to while away some blissful afternoons. Ideal for honeymooners, the position of the individual suites ensures complete privacy in the most luxurious of surrounds. Each suite is uniquely furnished and enjoys an abundance of natural light. Features include ensuite bathroom, ceiling fan, thoughtfully stocked mini bar, natural timber floors, tea and coffee making facilities, direct dial telephone, fresh drinking water, mosquito nets, bath and beach towels, hairdryer, and premium toiletries.